There are few pieces of film which truly capture the attention and imagination of fans the way that Star Wars does. Since A New Hope premiered in 1977, the Star Wars fandom has only continued to grow, spanning across decades and generations of moviegoers. 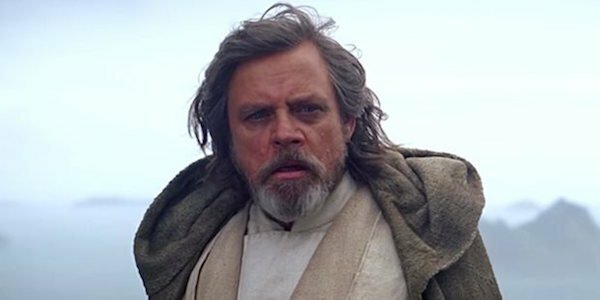 And while fans have rewatched the movies countless times, there is an important Star Wars figure who apparently hasn’t seen the original trilogy in quite some time: Mark Hamill. That’s right, people. Mark Hamill hasn’t seen the original trilogy in close to twenty years. I suppose he didn’t need a refresher before filming The Force Awakens and the untitled Episode VIII. While it’s surprising that Mark Hamill hasn’t seen the original Star Wars trilogy in so long, it does make a bit of sense. He’s not necessarily refusing to watch the films altogether, but he is clearly not willing to watch from home. This seems like a perfectly respectable practice; Star Wars movies are pretty large in scale and they look the best in theaters. Visiting a galaxy far, far away isn’t as fun from home, even if you get some deleted scenes out of it. The issue that might strike a chord with Star Wars purists is which version of the films Mark Hamill last watched. According to his tweet, Hamill last watched the infamous Special Edition, which was released in the 90’s. The Special Edition is still a bit of a question mark on the franchise as a whole. George Lucas decided to add some 90’s sensibility and CGI into the original films, which resulted in a few weird moments, a scene with Jabba, and an extremely random musical number. Plus, the “who shot first” debate was born (and has yet to leave our radar). Having our original hero’s last Star Wars viewing experience be the remastered version is sure to ruffle the feathers of fans who loathe it. Although you have to respect Mark Hamill’s dedication to only seeing the original trilogy in the theaters. Mark Hamill’s social media presence has been really strong lately. With his involvement in Episode VIII, which is hopefully more than a walk-on this time, he seems to be excitedly reconnecting with the community. Now all he needs to do is have a contest for a fan to watch the original trilogy with him, and he’s got a publicity gold mine on his hands. We’ll continue to update you on all things Star Wars as details become public to us.